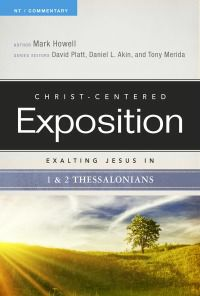 Edited by David Platt, Daniel L. Akin, and Tony Merida, this new commentary series, projected to be 48 volumes, takes a Christ- centered approach to expositing each book of the Bible. 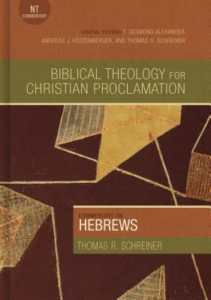 Projected contributors to the series include notable authors such as Russell D. Moore, Al Mohler, Matt Chandler, Francis Chan, Mark Dever, and others. Dr. David Platt, President of the International Mission Board, is deeply devoted to Christ and His Word. David’s first love in ministry is making disciples, sharing, showing, and teaching God’s Word in everyday life. He has traveled extensively to serve alongside church leaders throughout the United States and around the world. A life-long learner, David has earned two undergraduate and three advanced degrees. He holds a Bachelor of Arts (B.A.) and Bachelor of Arts in Journalism (A.B.J.) from the University of Georgia, and a Master of Divinity (M.Div. ), Master of Theology (Th.M) and Doctor of Philosophy (Ph.D) from New Orleans Baptist Theological Seminary. He previously served at New Orleans Baptist Theological Seminary as Dean of Chapel and Assistant Professor of Expository Preaching and Apologetics, Staff Evangelist at Edgewater Baptist Church in New Orleans, and eight years as the Senior Pastor of The Church at Brook Hills in Birmingham, AL. David has written several books, Radical, Radical Together, Follow Me and most recently Counter Culture (to be released February 2015). He also has a radio program on Moody Radio, Radical with David Platt, that can be heard around the world and features past sermons and teaching from David’s ministry. David founded Radical (Radical.net), a ministry devoted to serving churches and disseminating disciple-making resources toward the end that the gospel might be made known in all nations. David and his wife Heather have four children, Caleb, Joshua, Mara Ruth, and Isaiah. Daniel L. Akin is the president of Southeastern Baptist Theological Seminary in Wake Forest, North Carolina. He holds a Ph.D. in Humanities from the University of Texas at Arlington and has authored or edited many books and Bible commentaries including Ten Who Changed the World and the Christ-Centered Exposition Commentary volumes on Mark and 1, 2, 3 John.